Beginning our work on a 20 m "square"
Tonight I wanted to work some more on improving my ability to activate Derby’s hind legs, and really get him to step under himself. Christy devised a great exercise that helped me tremendously. We started at the walk, on a 20 m “square.” Instead of a circle, Christy had me ride straight lines, and then ride each turn like a deep corner. This ensured I bent the horse, and straightened the horse, and bent again. Then she had me add a couple steps of leg yield on my straight sides. I was amazed that we were able to do this easily, and without a much insistence on my part. 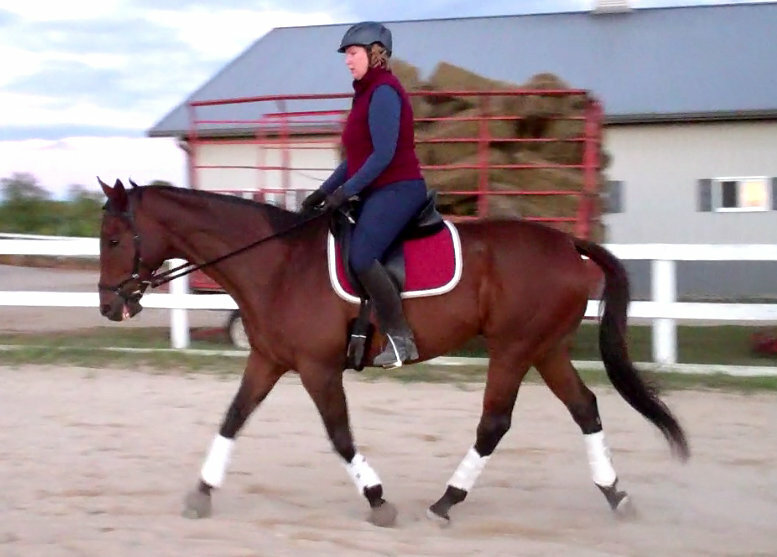 We repeated the pattern at the trot, and as we rode through it, I could feel the contact and the gait improving. It was a neat exercise that really helped me develop more feel about what a decent leg yield requires, and what it feels like. Switching directions, however, things got a little sloppy in the corners. Christy remedied this by having me fix my eyes on a spot on the wall, and ride toward it. Then going into the corner, he had me turn my head, find a new spot, and ride to that. This little trick cleaned up my corners in a hurry. I started riding them deeper and getting more well organized. Best of all, I felt a real improvement in my connection and the horse’s back end. You can see from the picture below that he’s really using himself. It was a great lesson and this exercise is one I”m going to use a lot! Goal achieved. Derby is using himself well behind. PS. I put my small spurs back on tonight. My lower leg is staying really quiet! Yay!!! 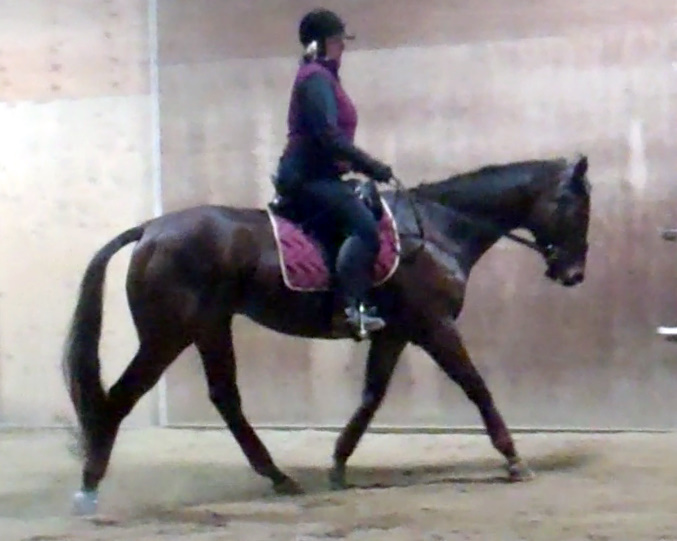 Putting it together - still leg, bending, round horse. 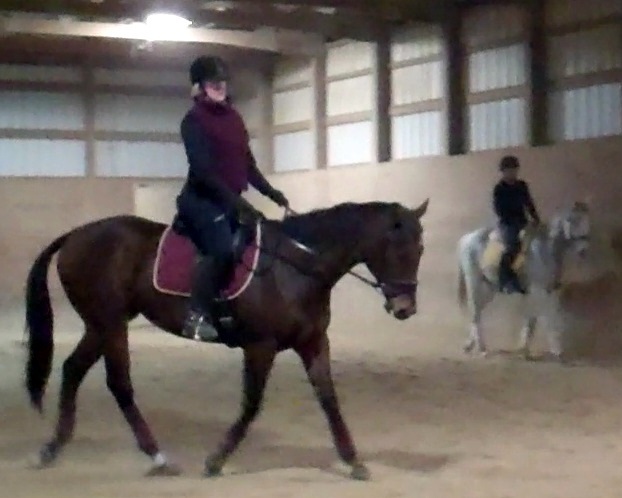 I squeezed in a lesson tonight, because we’re slated to have temperatures so cold tomorrow that riding will be questionable at best, and working the horses would be a bad idea. 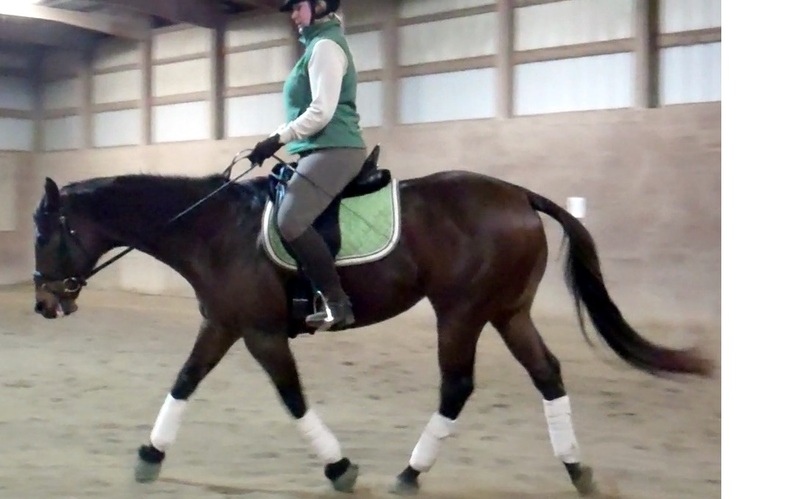 As I mounted up, I told Christy that I had done my homework last night, posting laps keeping my feet light in the stirrup, while feeling my inner thighs burn. While things were easier last night, I admitted to Christy that I had found putting it together – getting the horse round and bending, for example, was tough for me while I was also thinking about carrying myself correctly. I know the muscles aren’t there yet, but I told her I wanted to start working on adding aids as I develop strength. Multitasking, I said, was tough. She put us on a circle, asking me to spiral in and out at the trot. Keeping good rhythm was non-negotiable. 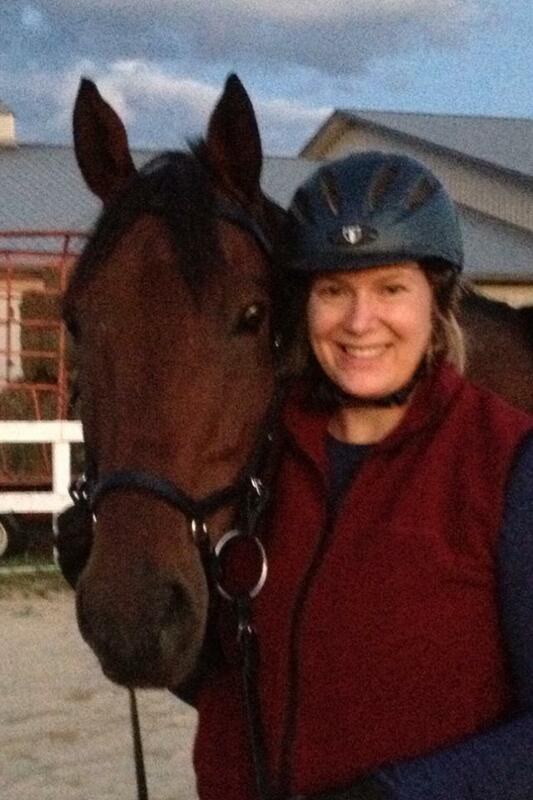 Off we went, and I am happy to report that I’m finding it easier and easier to carry myself correctly in the saddle. 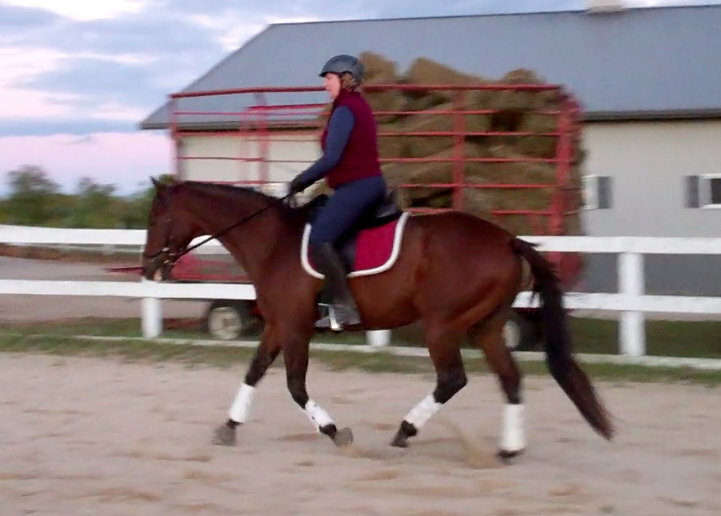 We set up the bend by softening the inside rein, and pushing the horse into the outside rein from my inside leg. However, I was so fixated on my position that I forgot some other essentials. Christy reminded me that when bending, to move my outside leg back a bit. Duh! I couldn’t believe I had forgotten that, but that’s what I do when I’m focusing on one thing – it’s often to the exclusion of everything else. Slowly, she put the pieces back together, stopping every now and then to have me stand a couple beats to realign myself. 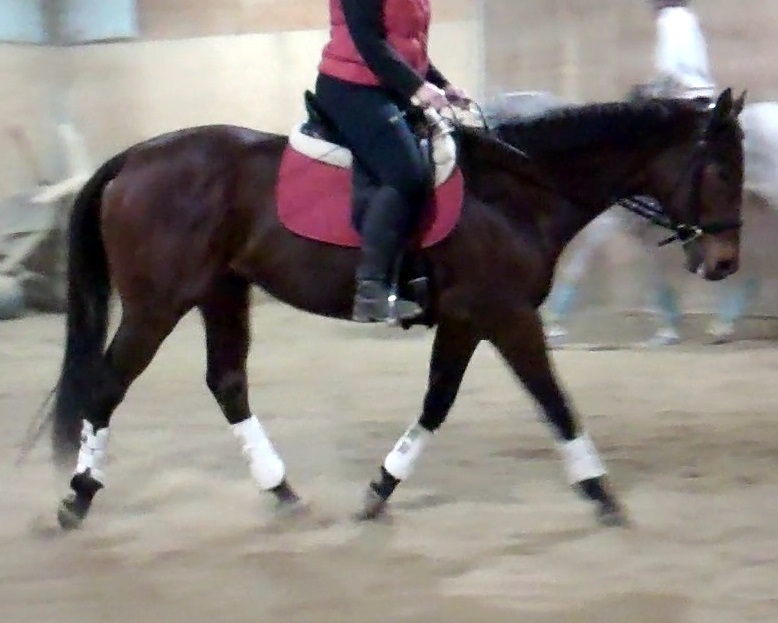 With Christy’s help, we were able to produce nice circles with respectable quality, and best of all, I was maintaining my steady lower leg and carrying myself correctly. Definite progress. I think he's man enough to wear pink! Wrong lead? Nah! 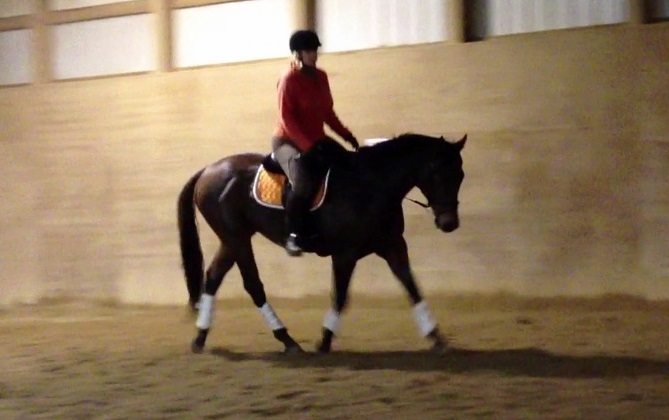 It’s counter canter! 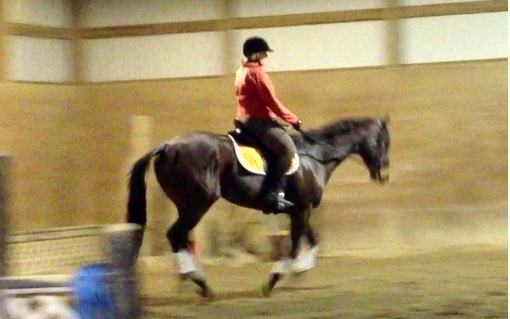 Counter canter! Yeah! That's what we're doing! 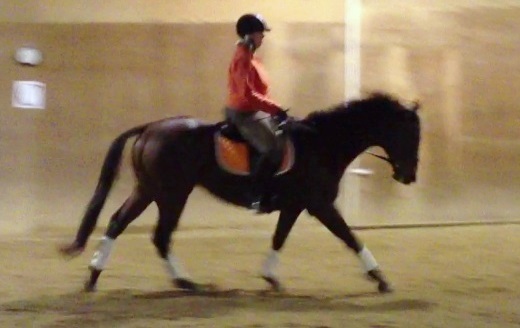 Counter canter! Well, tonight’s ride only went partially as planned. 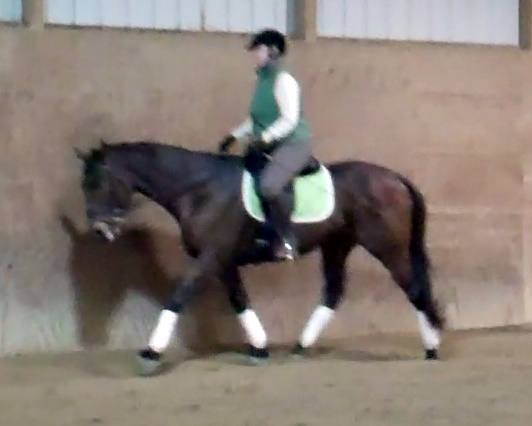 I was looking forward to my lesson, and showing Christy what I’ve been working on for the last few days. 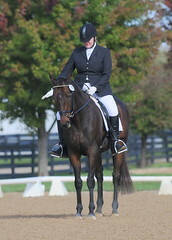 We did earn some nice kudos – the left lead canter was really good – we had a decent transition, and I was able to show Christy how I’m getting better at really riding the gait – keeping the horse forward, getting him to step out and under himself, and holding the contact and getting him to move forward into it. We got a gold star on our homework for that chapter, but we turned around and flunked the next one. The weirdness started when we switched direction. I had been getting some nice work this direction recently and felt that I was making real progress on the canter depart … but tonight wasn’t the night. I was doing something new and strange – we couldn’t pick up the right lead to save our souls. Okay, we did get it a couple times, including an unscheduled walk-canter depart (seriously, where’s the fruitbat?) but more often then not, I was putting him onto the wrong lead with alarming consistency. We had some decent moments. 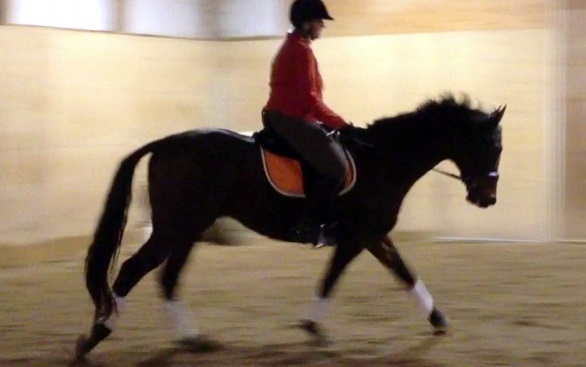 I'm pretty happy with this canter attempt. 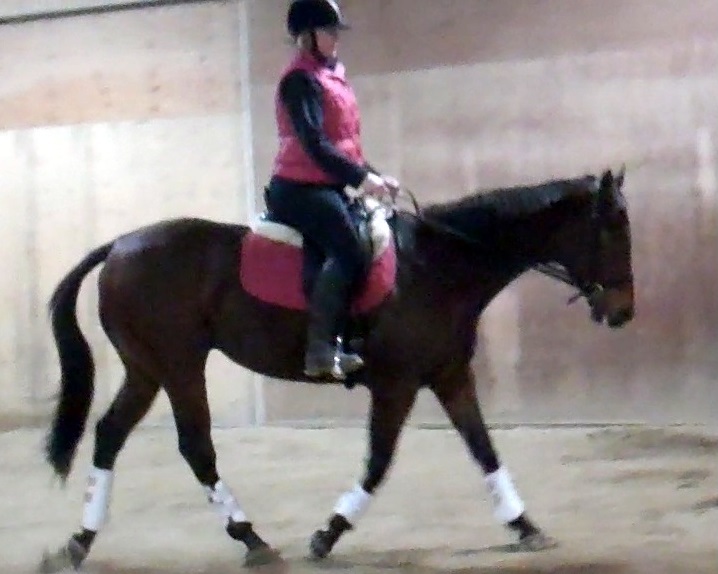 We worked at it, and revisited bending, and Derby grew more and more resistant on the right rein. 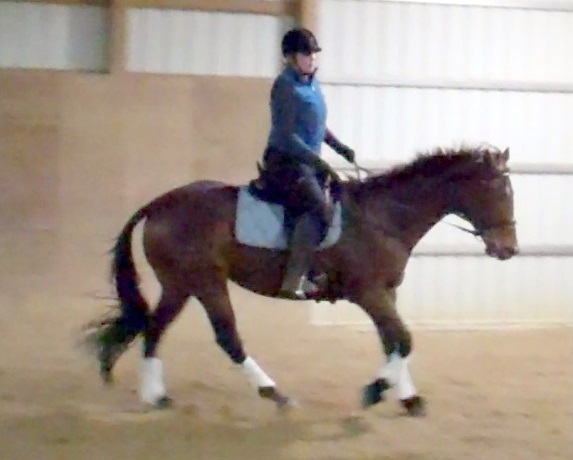 I knew then that somewhere, something was wrong with how I was riding, and I got confirmation of that fact when Derby started to resist naughtily, spooking at a corner and refusing to to bend. I put him on a small circle, and doubled back, inching him back towards the corner – but I was getting tired and didn’t have the strength to really kick him over. Then he tried to pull some of the same crap on the long side. I smacked him with the whip, sent him forward, and we did some small 10M figure 8’s at the other end of the arena, and then headed for the end where he had spooked, bending on a serpentine. No avail, he did it again. I turned him in tight circles, keeping his feet moving, and was furious with myself and I’ll admit it, with him. At this point, I was almost exhausted, so after he walked and halted nicely I called it a day. However, ideally, that wasn’t the right time to end. I have squeezed myself into Christy’s schedule tomrrow night, and we will revisit these issues!